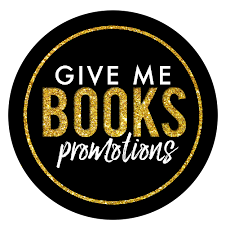 Former Army brat Molly Owens is happily settling into her new life in the seaside town of Britton Bay—and into new her job as editor-in-chief of the local paper. But as tourists discover the desirable spot, the tide along the Oregon Coast is turning . 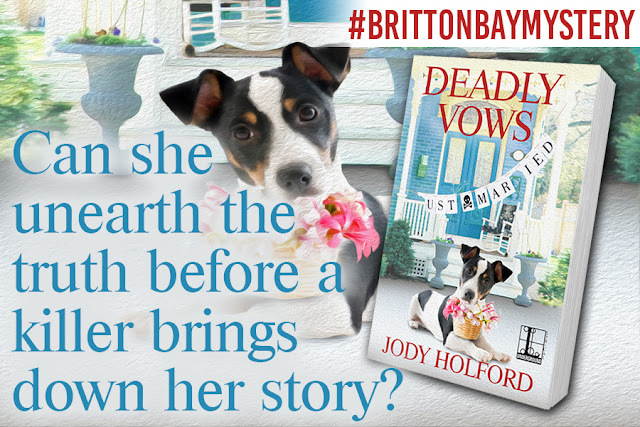 . . Britton Bay is buzzing with preparations for a wedding at the bed and breakfast where Molly rents a small carriage home. 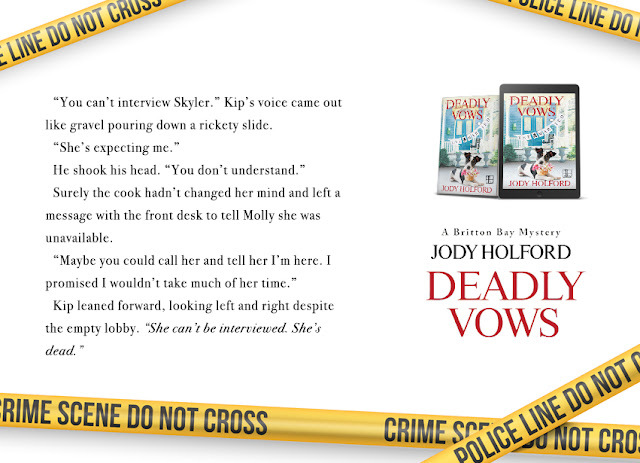 Molly is even helping out and plans to interview the rising star caterer—until the woman is found dead. And then the bride-to-be goes missing. 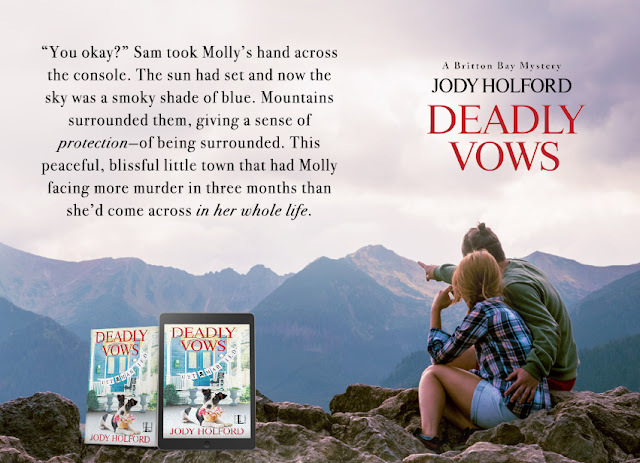 To make matters worse, the venue is owned by Molly’s new boyfriend’s mother—and Molly was among the last people to see the victim alive. 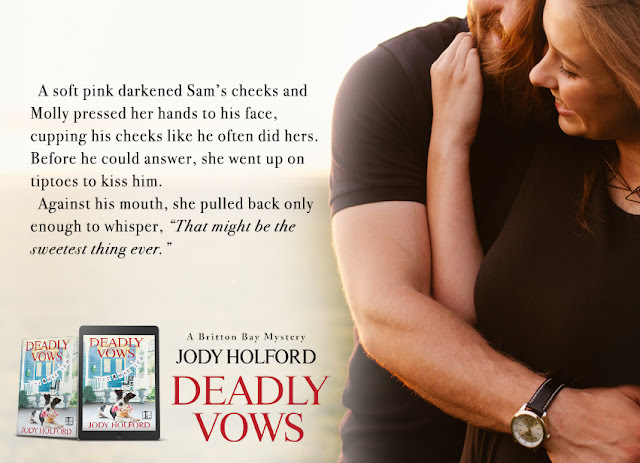 All of which makes solving the crime her top priority . 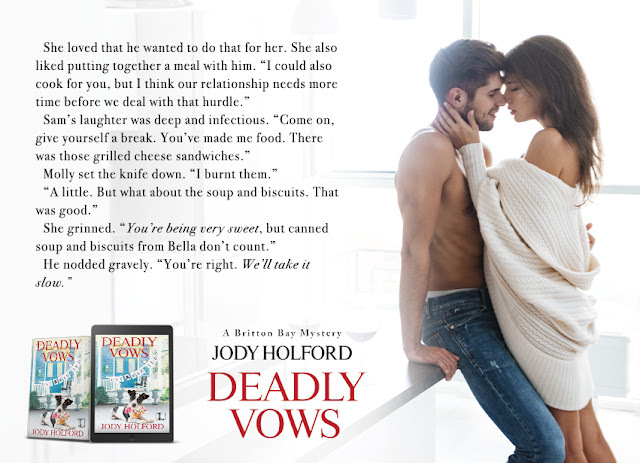 . . With the nuptials indefinitely on hold, Molly will have to sift through a sticky mix of suspects, including a rival caterer with a short fuse, a groom with an illicit secret, and a wedding party riddled with personal drama. And if she doesn’t discover the truth soon, Molly might be her own front-page news . . .